Blu and Exile's new album. In July of 2007, rapper Blu and producer Exile released their first album as the duo Blu & Exile. That album, titled “Below The Heavens,” became an instant classic, placing Blu & Exile among duos like Common and No I.D., Talib Kweli & Hi-Tek, Pete Rock & C.L. Smooth, and Guru and DJ Premier of Gangstarr. Although neither Blu nor Exile have been quiet the past five years, “Give Me My Flowers While I Can Still Smell Them,” is their second official release on a label. With Blu’s range of lyrical content, from boastfulness about his rhyming skill to thought provoking lines of romance, social issues, and spirituality, and Exile’s ability to use a classic formula of hip-hop production yet still making it sound unique and fresh to the ears, there is no doubt that these two artists have something special together. The album starts off with “A Letter,” an instrumental introduction that uses Exile’s traditional style of looping soulful records. The crackling sound from the dusty vinyl in the loop only adds to the beauty of Exile’s production style. Immediately, the album jumps into a beautiful arrangement of soulful beats and conscious, in-the-pocket rhyming. 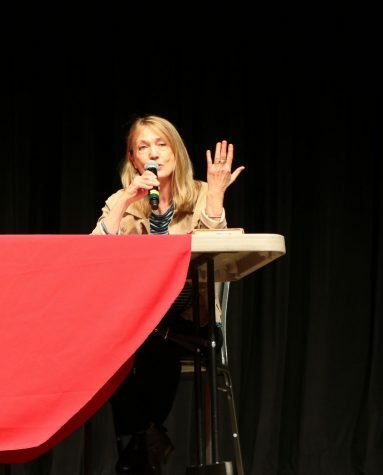 A great example is the track, “More out of life,” featuring Jasmine Mitchell. The crescendo introduction builds suspense leading to the great arrangement of layered drums, loops, and chopped samples. Blu’s opening lines grab the listener right away as he says, “Somebody wanted guidance, looked inside to find it. You know them blind kids money on they eyelids,” painting a story of himself lost in the consumerist mentality most face nowadays and his attempt to get through that barrier. My favorite track on the album would have to be “Seasons,” containing a sample of Tom Waits’ “World Keeps Turning.” The genius of Blu’s lyrical content is shown greatly in this song, as he turns Exile’s loop into nearly three minutes of rapping with no breaks. Every bar has a great message, and his word choice is why I consider Blu to be not only a rapper, but also a genius poet. The track attacks a number of issues, from the state of rap music to society’s struggle to follow its dreams. My favorite lines from this song would have to be, “Casually I dress while addressing her majesty. Flirting passably to other palaces surrounding me. Once crowned king humble down to the queen, gave my kingdom up. Became a mortal man walking earth seeking love.” Blu’s message in this song is that he sees beyond classes, that if he is at the top he will never act it. This idea is something for all people to consider, as we sometimes tend to let go of our true ideals for a false idol. Instead, Blu focuses on what he feels the role of man is, to enjoy life and find love. 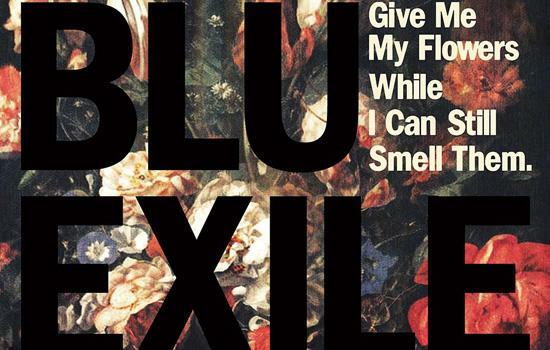 “Give Me My Flowers While I Can Still Smell Them” by Blu & Exile is a great piece of music, and I highly recommend it to anyone, hip-hop fans or not.